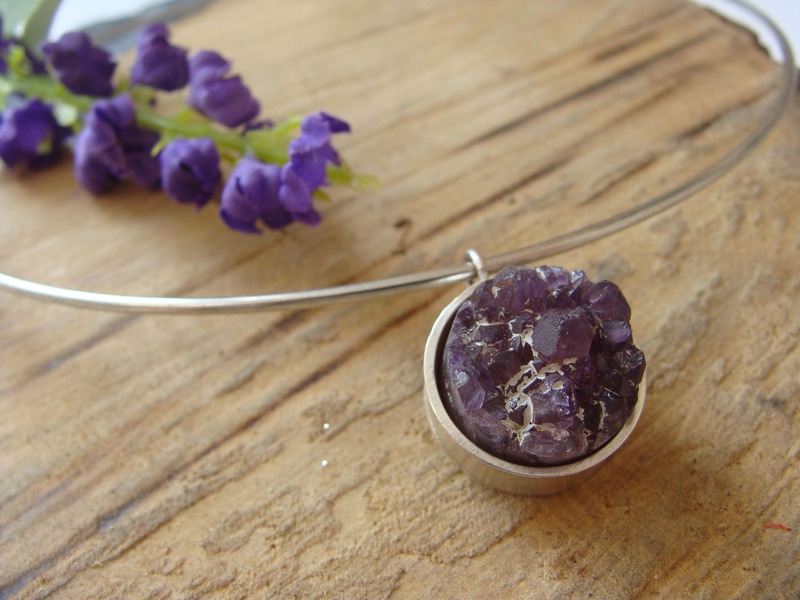 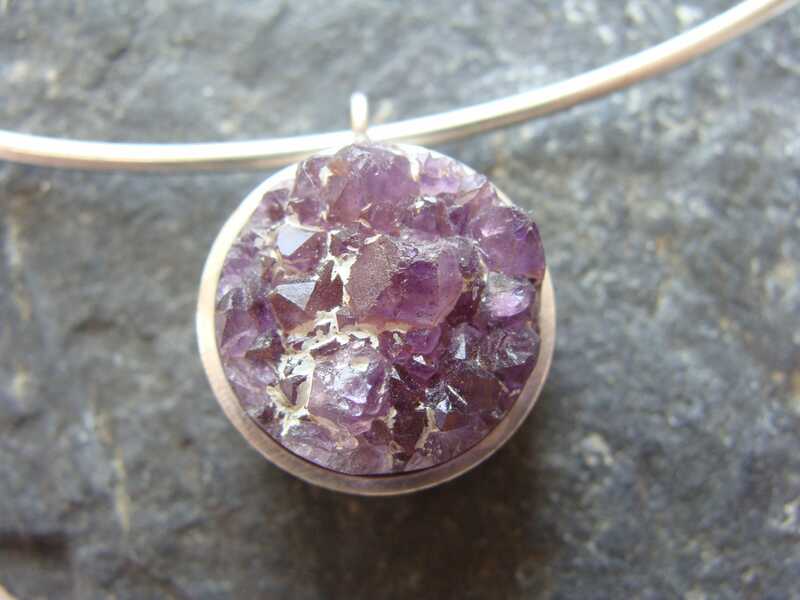 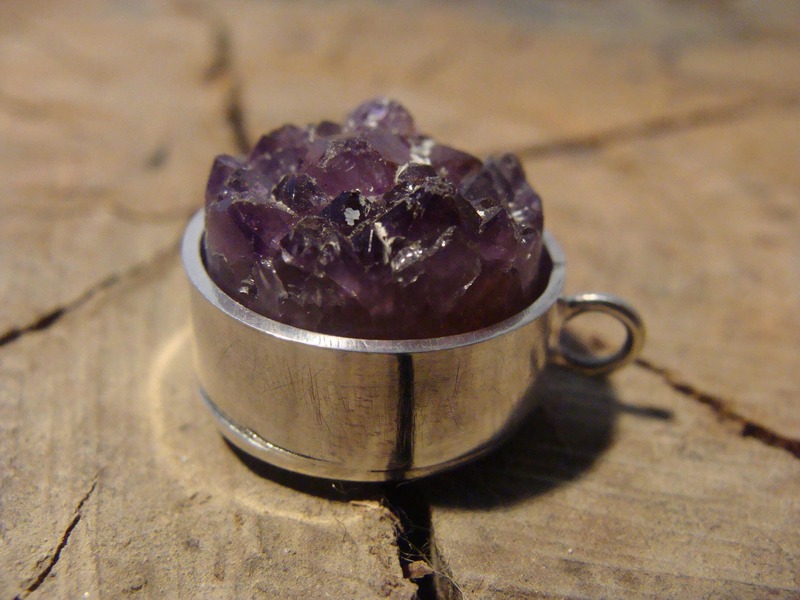 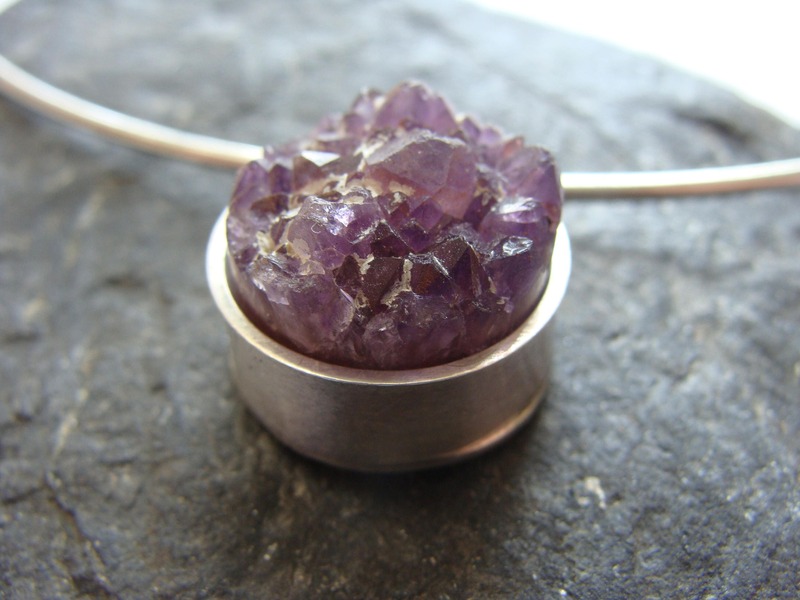 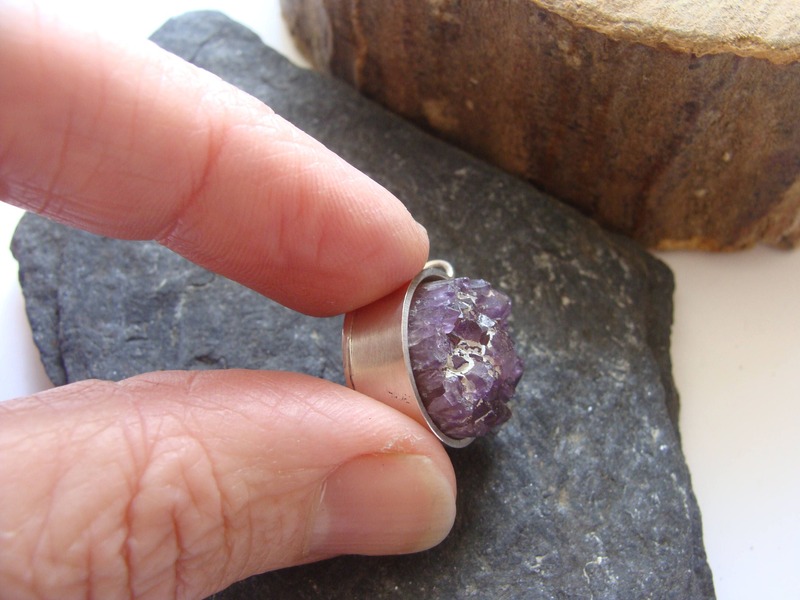 Contemporary pendant in 925 ° solid silver, round shape, decorated with a natural raw amethyst. 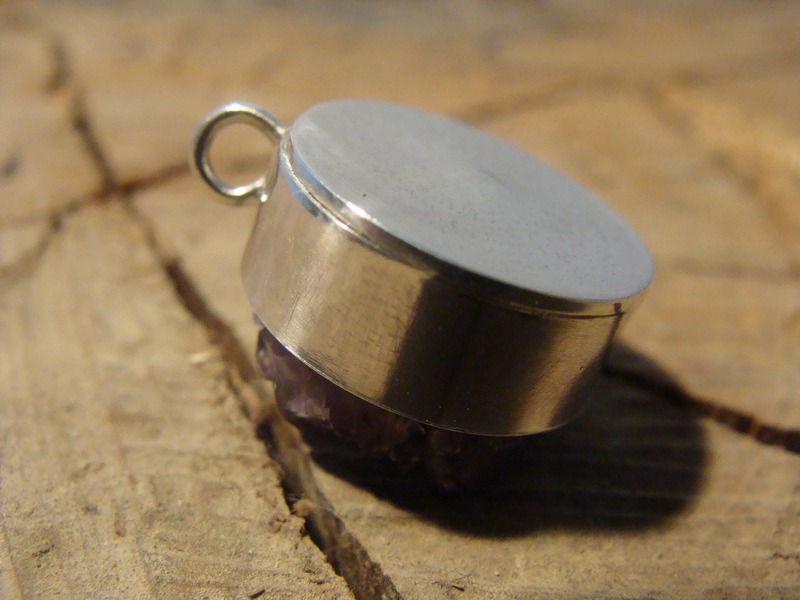 Height with the bail: 1.2 cm. 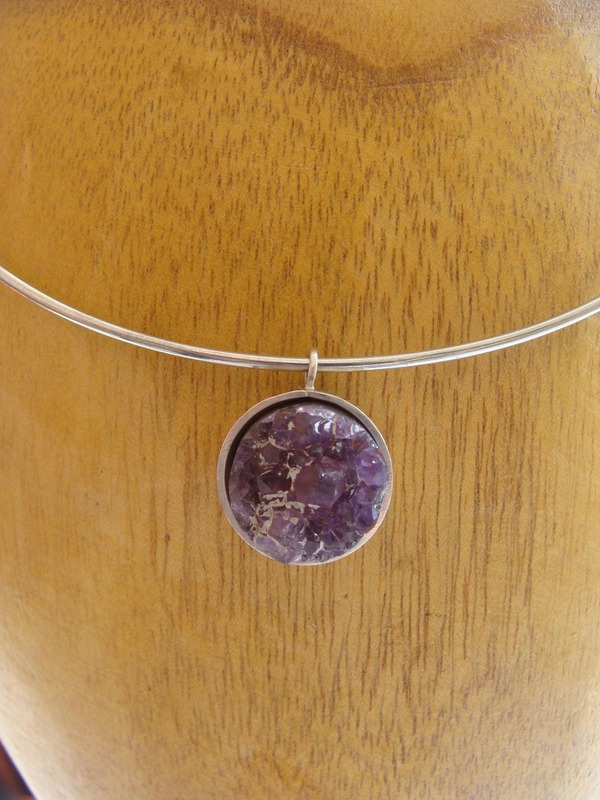 With the silver metal choker. 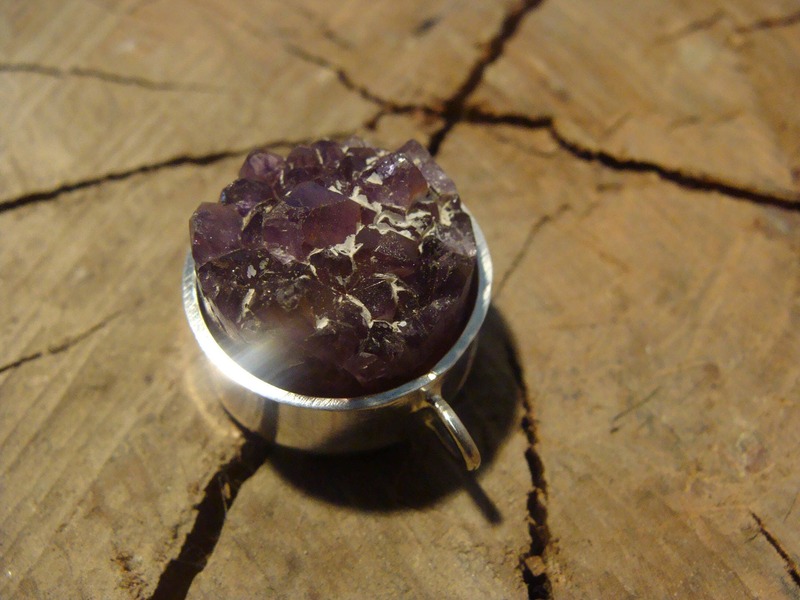 Unique piece, artisanal creation, 100% French, made in my workshop Lyon!